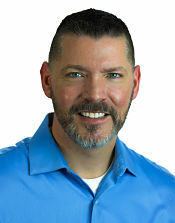 Hi, I am James Seyer, Executive with Realty Executives of Cape County. I have proudly lived and worked in Cape Girardeau County my entire life, and I am proud to call Southeast Missouri my home. I became a licensed real estate agent in 2012, and I am dedicated to providing quality professional service to my clients, while taking pride and ownership in every home I list or sell. As an At Home with Diversity (AHWD®) REALTOR®, I'm also committed to expanding home ownership opportunities for the growing number of culturally diverse buyers and sellers in the housing market who identify with groups entailing race, ethnicity, religion, gender, handicaps, familial status, or national origin. To me, being a REALTOR® isn't just about selling homes, it's about building lasting relationships with my clients. Selling real estate isn't just my job, it's my passion, and I absolutely love what I do. Buying or selling, put "SeyerSOLDIT" to work for you!